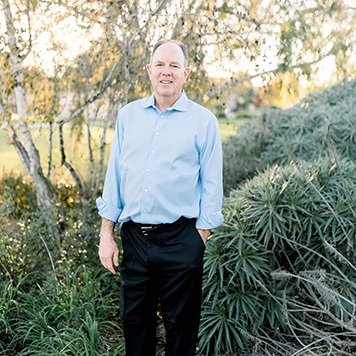 Dr. David M. Cottrell grew up in California & graduated from Pomona College in Claremont California with a BA degree in Zoology. He received his dental degree from Loma Linda University School of Dentistry and was inducted into the Omicron Kappa Upsilon National Honor Society. Dr. Cottrell did his residency in pediatric dentistry at Cincinnati Children's Hospital Medical Center. Dr. Cottrell is a Diplomate of the American Board of Pediatric Dentistry and a Fellow in the American Academy of Pediatric Dentistry. A pediatric dentist that is board certified has gone through a rigorous examination process and only dentists that have completed a residency in pediatric dentistry can sit for the board certification examinations. Dr. Cottrell received a Certificate of Merit from the American Society of Dentistry for Children, the Quintessence Award for Clinical Achievement in Restorative Dentistry and the American Academy of Gold Foil Achievement Award. Dr. Cottrell very much enjoys serving the Lord. He is married to his wife Laurina with whom he parents multiple children; some are even theirs.